In the last few decades of the twentieth century, the technical requirements of ballet rapidly increased. This resulted in a demand for more elaborate pointe shoes. A wide range of designs were on the market: from soft block shoes, which are designed for transition from soft shoes to pointe shoes, to extremely hard shoes, which give extra strength, to machine-manufactured rehearsal pointes for dance students operating on a smaller budget. About thirty-five ballet shoe manufacturers, such as Freed, Capezio, and Gaynor Minden, operate in the market, but as a result of a long history of traditional pointe shoe manufacturing with cardboard and simple flour and water paste glue, the innovative pointe shoe with unbreakable shanks produced by the U.S. ballet shoe manufacturer Gaynor Minden are ubiquitous. At the end of the twentieth century, the fashion industry picked up the idea of ribbons and look-alike pointe shoes, and designer brands such as Manolo Blahnik, Sonia Rykiel, Etro, and Blumarine have used the pointe shoe style to create "ballerina" fashion shoes. Barringer, Janice and Schlesinger Sarah. The Pointe Book: Shoes, Training & Technique. Hightstown, N.J.: Princeton Book Company, 1990. Bentley, Tony. The Heart and Sole of a Ballerina's Art: Her Toe Shoes. Washington, D.C.: Smithsonian Institution, 1984. Cunningham, B. W. et al. "A Comparative Mechanical Analysis of the Pointe Shoe Toe Box." American Journal of Sports Medicine 26, no. 4 (1998): 555-561. Terry, Walter. On Pointe. New York: Dodd Mead, 1962. Trucco, Terry. "To the Pointe." Ballet News 3 (1982): 21. Brown, Ismene. "Arch Rivals." Telegraph. 8 March 2003. Available from <http://www.art.telegraph.co.uk>. POIRET, PAUL Before Paul Poiret (1879-1944), there was the couture: clothing whose raison d'etre was beauty as well as the display of wealth and taste. Paul Poiret brought a new element of fashion to the couture; thanks to him fashion can be a mirror of the times, an art form, and a grand entertainment. Poiret, in the opinion of many, was fashion's first genius. Paul Poiret, 1922. 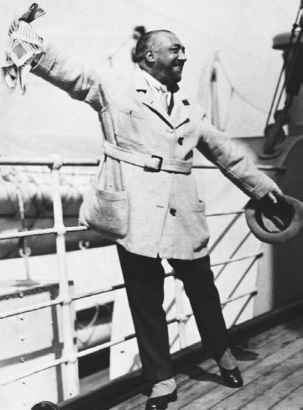 On a shipdeck in New York City, Paul Poiret stands with his arms spread wide open. Poiret, who infused fashion with art and broke down nineteenth-century conventional clothing styles, is considered by many to be fashion's first "genius." © Underwood & Underwood/Corbis. Reproduced by permission. Born into a solidly bourgeois Parisian family (his father, Auguste Poiret, was a respectable cloth merchant), Poiret attended a Catholic lycée, finishing as was typical in his early teens. Following school came an apprenticeship to an umbrella maker, a métier that did not suit him. 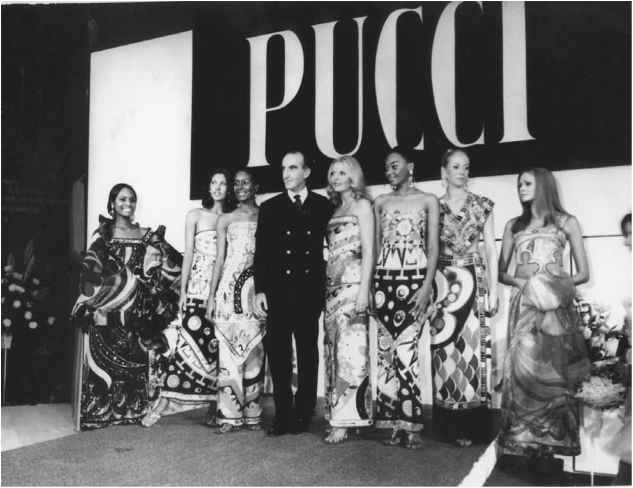 At the time, it was possible to begin a couture career by shopping around one's drawings of original fashion designs. Couture houses purchased these to use as inspiration. Poiret's first encouragement came when Mme. 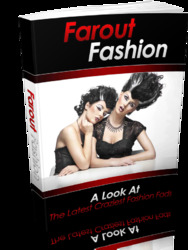 Chéruit, a good but minor couturière, bought a dozen of his designs. He was still a teenager when, in 1896, he began working for Jacques Doucet, one of Paris's most prominent couturiers. Auspiciously, Doucet sold four hundred copies of one of Poiret's first designs, a simple red cape with gray lining and revers. And in four years there, the novice designer rose up in the ranks to become head of the tailoring department. His greatest coup was making an evening coat to be worn by the great actress Réjane in a play called Zaza. The biggest splash fashion could make in those days was on the stage, and Poiret made sure to design something attention-worthy: a mantle of black tulle over black taffeta painted with large-scale iris by a well-known fan painter. Next came the custom of more actresses, and then, while working on the play L'Aiglon starring Sarah Bernhardt, Poiret snuck into a dress rehearsal where his scathing critique of the sets and costumes were overheard by the playwright, costing him his job. (The remarks could not have alienated Madame Bernhardt, as he would dress her for several 1912 films.) He fulfilled his military service during the next year and then joined Worth, the top couture house as an assistant designer in 1901. There he was given a sous chef job of creating what Jean Worth (grandson of the founder) called the "fried potatoes," meaning the side dish to Worth's main course of lavish evening and reception gowns. Poiret was responsible for the kind of serviceable, simple clothes needed by women who took the bus as opposed to languishing in a carriage, and while he felt himself to be looked down on by his fellow workers, his designs were commercial successes. In September 1903 he opened his own couture house on the avenue Auber (corner of the rue Scribe). There he quickly attracted the custom of such former clients as the actress Réjane. In 1905 he married Denise Boulet, the daughter of a textile manufacturer, whose waiflike figure and nonconventional looks would change the way he designed. In 1906 Poiret moved into 37, rue Pasquier, and by 1909 he was able to relocate to quite grand quarters: a large eighteenth-century hôtel particulier at 9 avenue d'Antin (perpendicular to the Faubourg Saint-Honoré and since World War II known as Avenue Franklin-Roosevelt). The architect Louis Suë oversaw the renovations; the spectacular open grounds included a parterre garden. Poiret also purchased two adjoining buildings on the Faubourg St. Honore, which he later established as Martine and Rosine.